What? Say it isn’t so! Is it possible that you lost the link to register for the Individualizing Medicine Conference 2015: From Promise to Practice? Okay, you’re probably still noodling out the final details of that great idea you have for the poster session on epigenomics or pharmacogenomics or the microbiome. And could it possibly be true that you haven’t informed all your neighbors and friends of the Patient and Public Symposium that will give them all the information on exactly what individualized medicine — also known as, precision medicine — will mean to them? Well, the good news is there’s still time to accomplish all of these things. 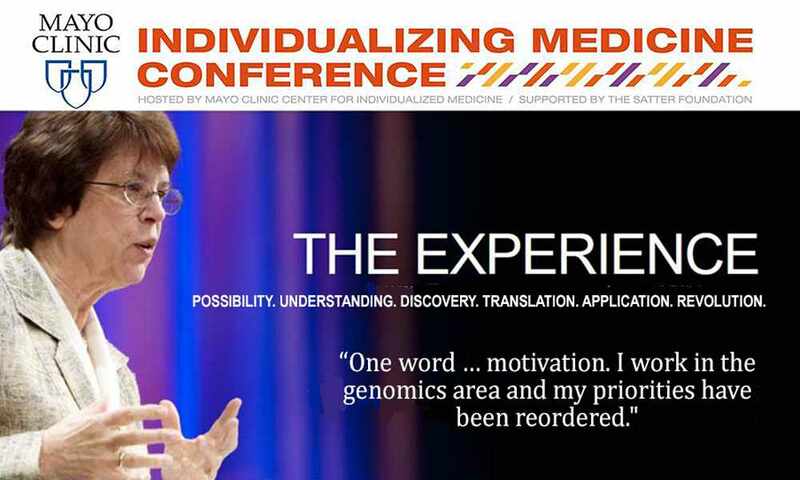 Hosted by Mayo Clinic's Center for Individualized Medicine and supported by the Satter Foundation, Individualizing Medicine 2015 focuses on how to translate the promise of genomic medicine to your practice, whether you're a family practice doctor in Seattle, a biomedical researcher in Atlanta, or a genetic counselor in Baltimore. 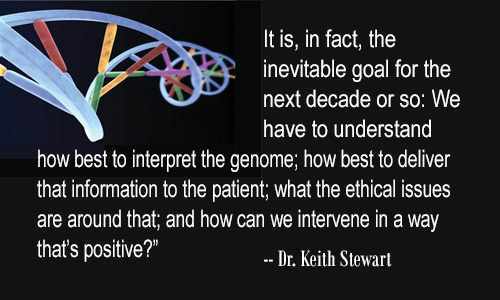 In short, if you’re a physician, a clinician-researcher or and scientist, a genetic counselor, nurse practitioner, physician’s assistant, nurse, pharmacist, bioethicist, or part of a team of professionals that interpret genomic lab data, you need to be in Rochester, Minn., on September 21 for the IM Conference 2015. 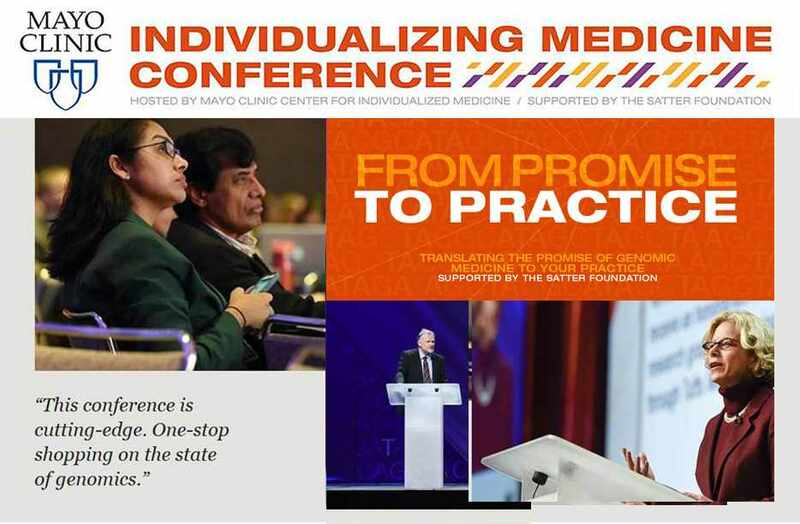 The 2015 conference offers a practical approach to helping medical professionals discover and integrate genomic medicine into routine patient care. Focused breakout sessions, case studies and poster sessions will provide opportunities to discover and discuss how you can bring medicine of the 21st century into your daily practice. At the conference you’ll learn about the latest findings in genomics and how to apply them to your practice; you’ll learn practical applications for integrating genomics and pharmacogenomics to individualize patient care; and you’ll have the opportunity to discuss strategies to overcome obstacles when implementing genomic sequencing in patient care. You’ll also hear how to disseminate genomic information to patients through ethical, legal and regulatory frameworks. So explain to me again why you haven’t registered yet? Everyone who regularly attends medical conferences understands the value of the poster sessions. Great ideas or the next generation of breakthrough discoveries often are presented at the poster sessions. Abstracts for poster submission for the Individualizing Medicine Conference 2015 are now being accepted. 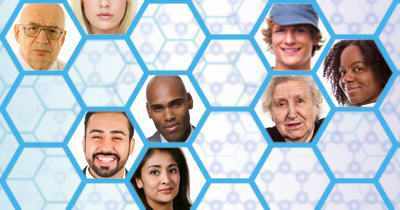 On September 20, 2015, all Mayo Clinic patients and members of the public are invited to learn more about what exactly individualized or precision medicine means — and how it applies to you. No longer in the realm of science fiction, genomic medicine is increasingly being used to help people live healthier lives, get the right medications, and treat diseases. But it’s still a mystery to most people. Now, Mayo Clinic is offering you the opportunity to learn what individualized medicine means to you. What is the relationship between genetics and your health? How will individualized medicine impact your health care? How can knowing more about individualized medicine help you better partner with your health care team? This four-hour symposium for patients, families and the public will address these issues and more. This symposium will feature educational exhibits, dynamic presentations and opportunities to interact with experts in individualized medicine, cancer, genetic counseling, ethics, pharmacy, and more. A Patient and Public Symposium: Individualized Medicine: What Does it Mean for Me? will be held on Sunday, September 20, 2015, from noon to 4 p.m. So plan on being in Rochester, Minn., on the Mayo Clinic campus, Phillips Hall, Siebens Building for the most informative four hours you will ever spend on your future health care needs. Register Now for the Patient and Public Symposium. And then go tell all your friends and family they need to be there too!